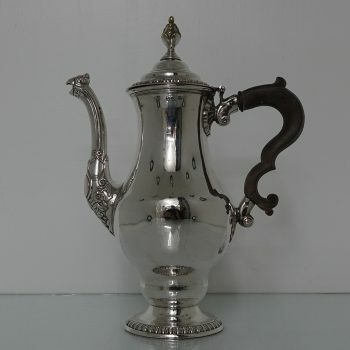 A stunning 18th century octagonal coffee jug. 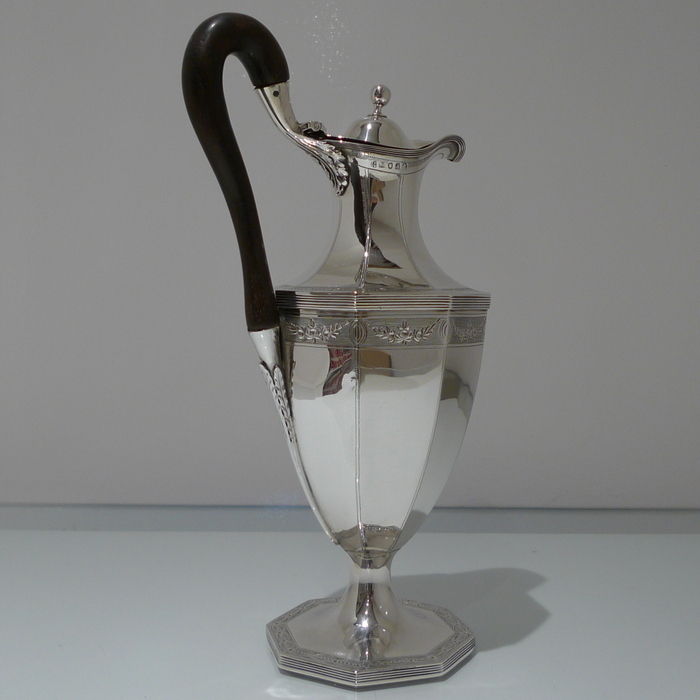 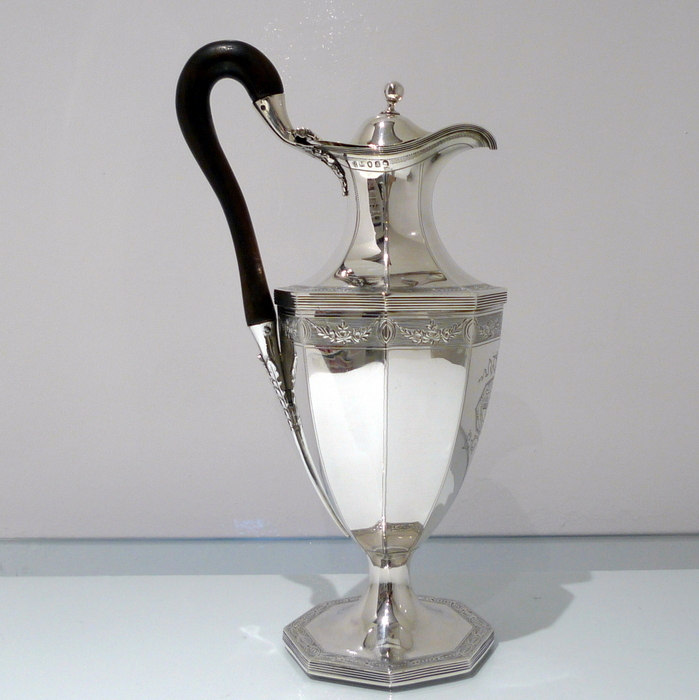 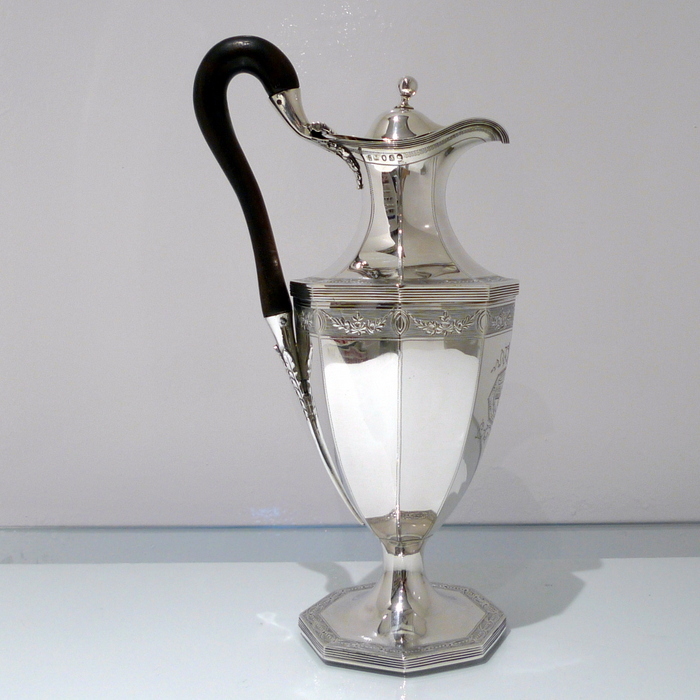 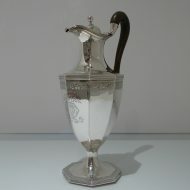 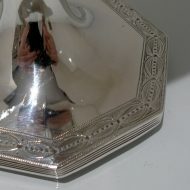 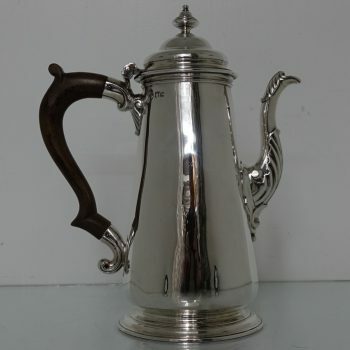 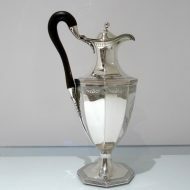 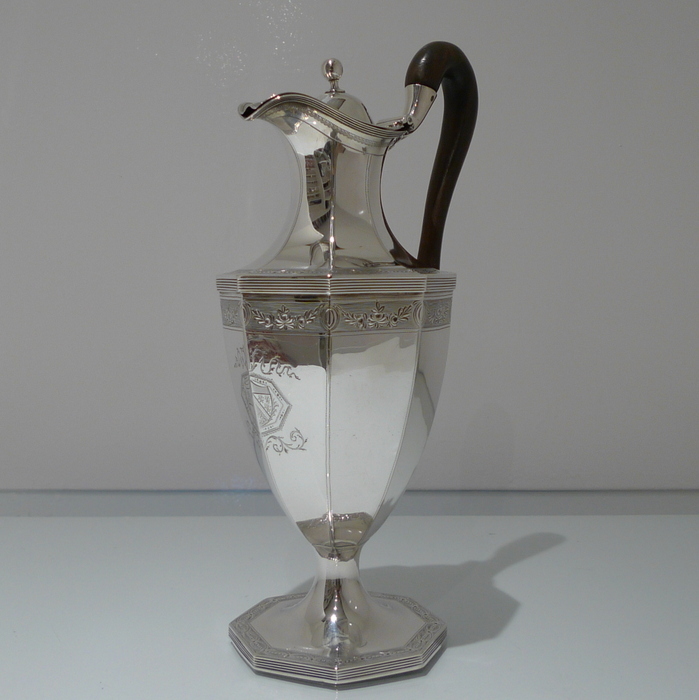 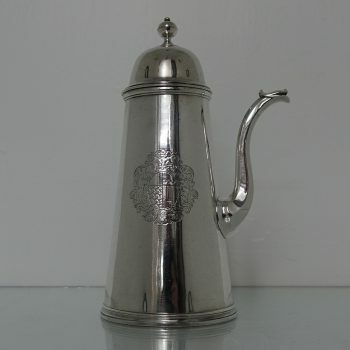 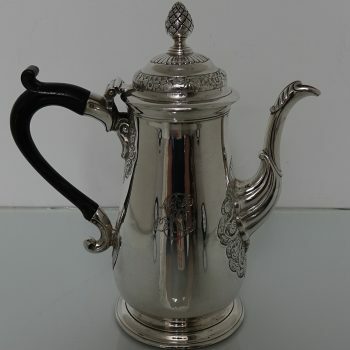 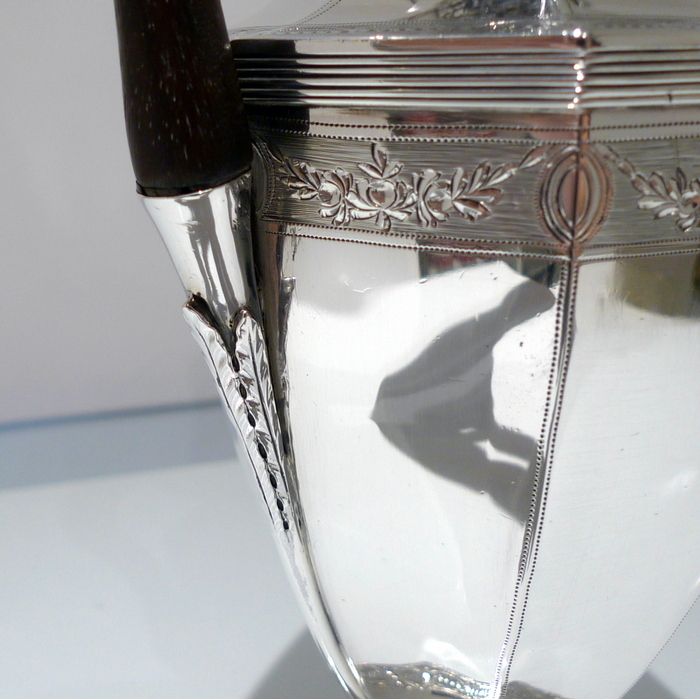 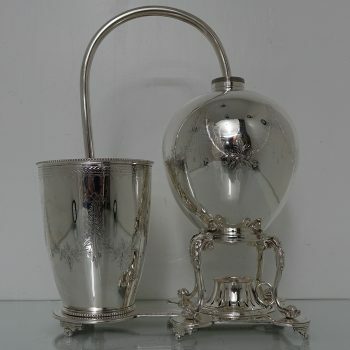 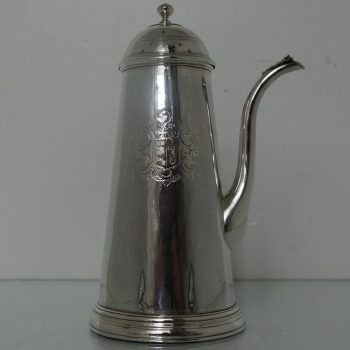 A very rare 18th century bright cut engraved coffee/hot water jug. 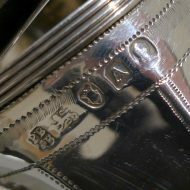 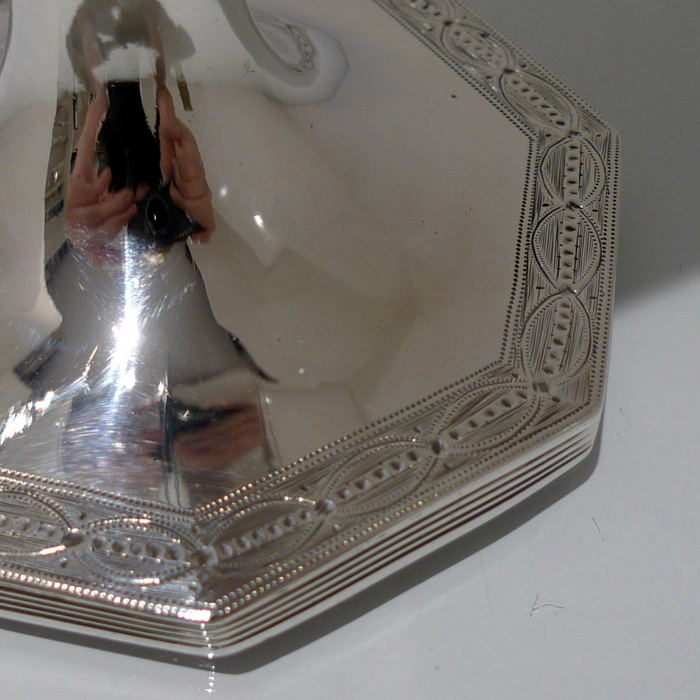 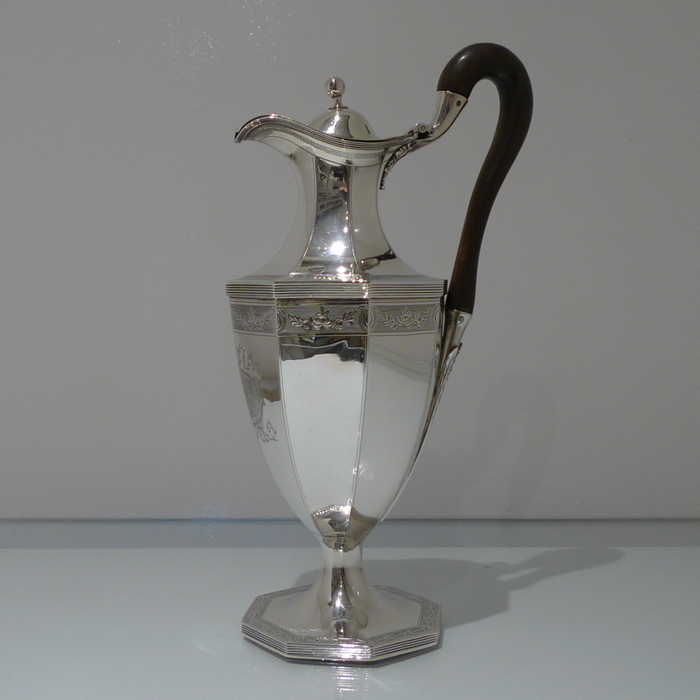 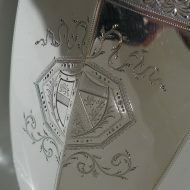 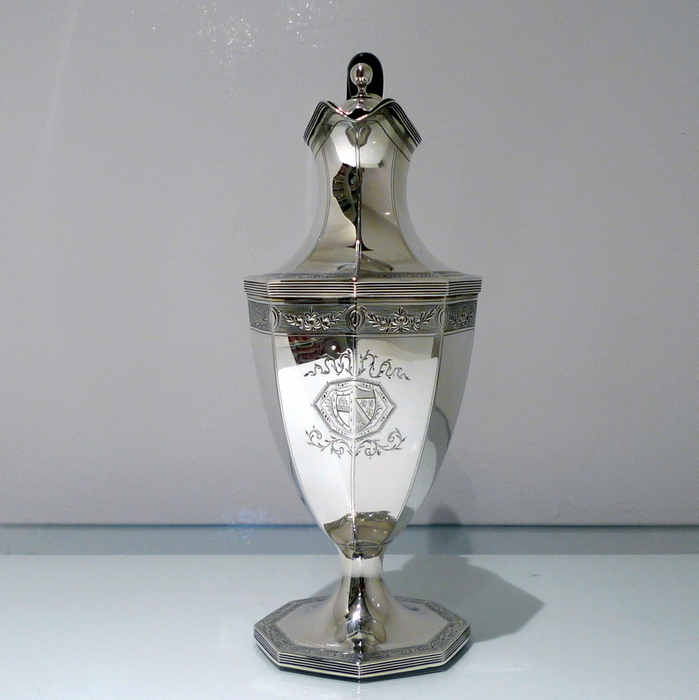 The jug has a stunning contemporary armorial engraved on the centre front of the body for importance. 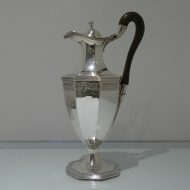 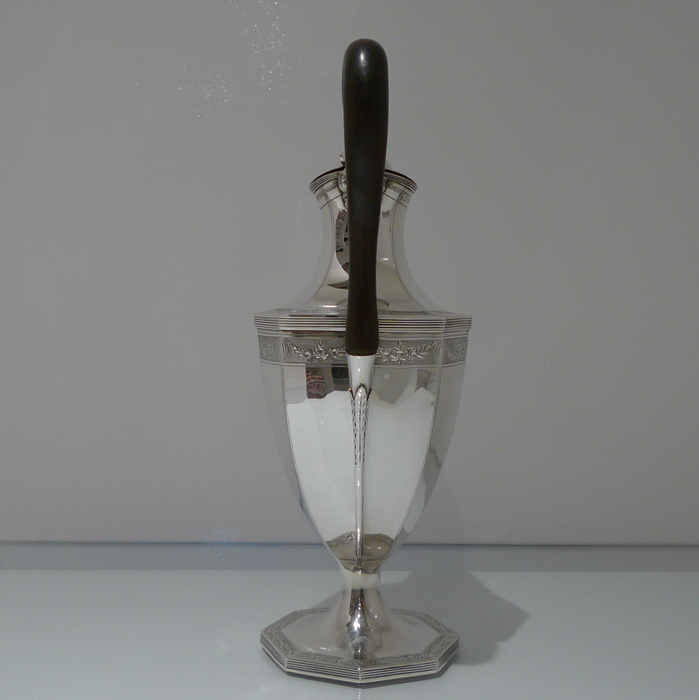 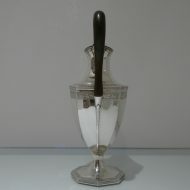 The lid is hinged and the impressive applied fruitwood scroll handle adds to the beauty of a superbly designed article.